Coca-Cola apologised for the profane can slipping through the campaign cracks, saying that they are currently investigating the matter, and that they frown on profanity. 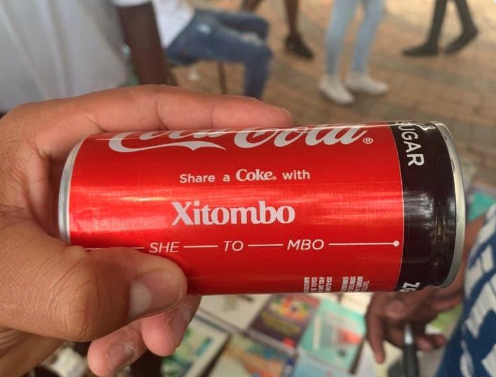 The recent discovery of a rather inappropriate Coca-Cola can prompted reactions across social media, with users giving their views on whether ‘Share a Coke with Xitombo’ was offensive. Xitombo is a vulgar word in Tsonga used to describe female genitalia, and according to Twitter users, no one has had the pleasure of knowing anyone by that name. Despite this, the can somehow landed in the hands of a Twitter user, who subsequently shared the image. It is not known who originally purchased the can, where it was found or purchased from, or if it was printed by Coca-Cola. Coca-Cola has since responded, explaining that the word Xitombo has not been printed on any cans sold to consumers in stores, and that this can must have been from the company’s consumer-led Share a Coke activations. “At these nationwide activations, consumers are able to get names and surnames of their choice printed with stickers onto Coca-Cola cans. These activations will continue for the month of February and we are actively working on a solution to try and prevent any further profanity associated with our brand and products,” their statement read. The comment offended social media users that speak Tsonga, some of which claim that the can highlights the disrespect the language endures. People also took offence to the genitalia reference. Coca-Cola apologised for the profane can slipping through the campaign cracks, saying that they are currently investigating the matter, and that profanity associated with any of their products and trademarks is unacceptable. So, if someone comes across a controversial name can, they can count themselves lucky that they truly are unique – one in 700,000 to be exact.